I have a friend who’s currently starting a consulting business and wading into the self-employment waters for the first time. While she’s focusing on data management, not writing, the tax stuff is largely the same, and having been self-employed for several years now, I offered to give her a quick rundown of how doing your taxes as a self-employed person works. When I posted a silly tweet about having sent a friend a 600-word “intro to taxes as a freelancer” email, so many people replied OMG I NEED THAT TOO that, well, I decided I’d just post it here. So here’s a slightly edited version of what I sent her. DISCLAIMER: I am not a tax professional or CPA or anything like that — this is all what I’ve figured out on my own. You should not rely on this without doing your own research or seeking additional guidance, and if you screw up your taxes, I am definitely not responsible! Also, obviously this only applies to the U.S. I have no idea how this stuff works in other countries. Depending on the state you live in and how much you expect to make, you may or may not need to get a state business license and/or file special state taxes. I live in Washington state, need a Washington business licence, and file a state excise tax return; the friend I originally wrote this for, who lives in Mississippi, does not. Anyone who pays you more than $600 in a year needs to file a 1099 declaring that to the IRS at the end of the year, similar the W2s that employers file (https://www.irs.gov/forms-pubs/about-form-1099misc). It isn’t really your responsibility to make sure this happens, but if someone is paying you over $600 (even spread across multiple jobs over the course of the year) and you think they might not have dealt with this before, it might be nice to give them a gentle nudge. For clients who pay you less than $600 over the course of the year, the IRS won’t really have any way of knowing about it… but technically you’re still required to report in on your taxes. Start keeping detailed records of your freelance income, like a spreadsheet with the date, amount, and client name. And track your expenses as well as your income! If you buy anything for your freelance work — a new computer, software, business cards, the hosting fee for your website, whatever — or do any traveling or professional development for it, anything like that, that’s a business expense and can be deducted from your freelance income (that is, you don’t pay taxes on that bit of your income). Again, just keep good records, and keep all your receipts. Part one of paying self employment taxes is, making quarterly estimated tax payments. The tricky thing here is that you have to make your best guess at the beginning of the year of what you think your income will be during that year. Here’s the information page for that on the IRS website, with links to the form you use to calculate how much these payments should be, when they’re due (note it’s not actually every three months), etc. : https://www.irs.gov/businesses/small-businesses-self-employed/estimated-taxes. And you can make the payments online here: https://www.irs.gov/payments/direct-pay. Note that if your freelance income is pretty small, you might not have to make quarterly payments at all! You’ll just have to do the math and see. At least to start with, you don’t necessarily need a separate bank account for business stuff. I use my regular checking account for everything, and just have a giant multi-tab spreadsheet with all my business record-keeping. If you’re wildly successful, you may eventually decide that you want to incorporate your business and become an LLC (limited liability corporation) instead of a sole proprietorship, and at that point the business would be a separate entity from you that would need its own bank accounts etc. (and would have the business equivalent of a Social Security Number, which is an Employer Identification Number or EIN). The advantage of this is that if someone sues you over something business related, they can only go after the business’s assets, not your personal assets. I have not done this, and it doesn’t seem to be common for freelance writers, but it’s good to at least know that it’s an option. And that’s it! Good luck, fellow freelancer, and whatever you do, don’t forget about those quarterly tax payments. I know there are a number of people still subscribed to this blog even though I no longer update it regularly, so I thought I’d let you know that there’s now an alternate way to keep up with my writing and whatnot: I’ve started an email newsletter that will go out roughly every three months, and if you’re interested you can sign up to receive it at tinyletter.com/rheisman. Cheers! I just wanted to post a note for anyone stumbling across this site via the blog that, while the blog section is no longer being updated, the other pages are still being kept up-to-date and I am continuing to use this site as a home base for my freelance writing. So feel free to browse the blog archive, but also check the “Writing” page for a regularly-updated list of links to the pieces I’m publishing elsewhere. Thanks! 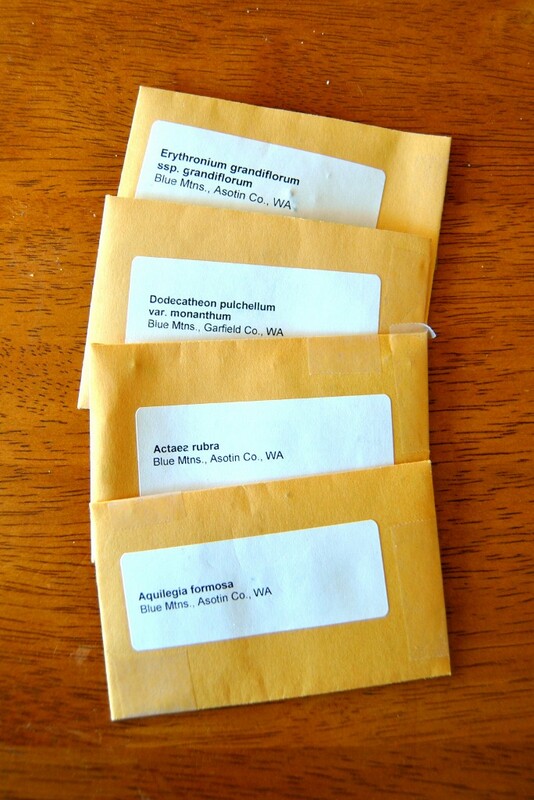 Recently, kind of on a whim, I bought four little packages of wildflower seeds from a mail-order sale that a chapter of the Washington Native Plant Society was having. When it comes to plants, it doesn’t get much more native than this – these seeds were all collected in the Blue Mountains of eastern Washington. Here we have western columbine (Aquilegia formosa), shooting star (Dodecatheon pulchellum), glacier lily (Erythronium grandiflorum), and red baneberry (Actaea rubra). I’ve never attempted to start native wildflowers from seed before, so I’m figuring this out as I go along. 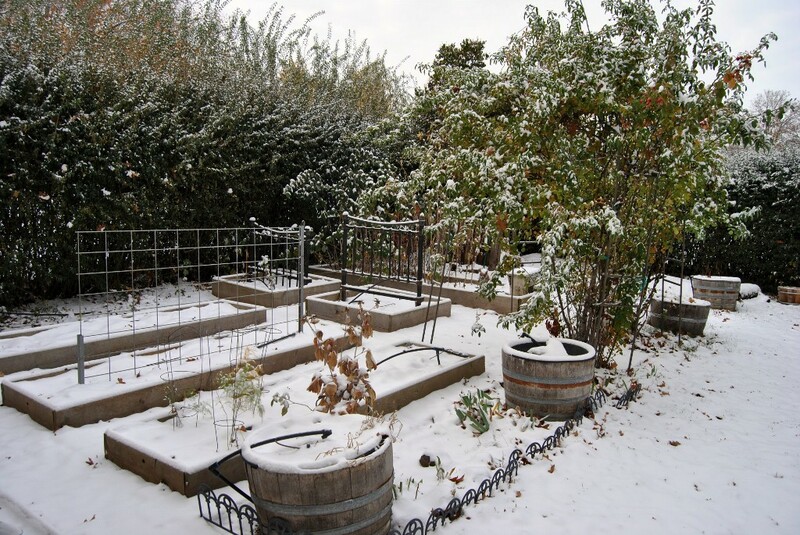 These are all species that require a period of “cold, moist stratification” before they’ll germinate, meaning in the wild the seeds would sit in the cold soil over the winter before sprouting in the spring. Because I’m a control freak, I opted to do my own cold stratification indoors, rather than just planting the seeds outside and letting nature take its course; I transferred them into little plastic bags with some moist sand and stuck them in the fridge. In a couple months I’ll take them out and start the seeds in potting soil. 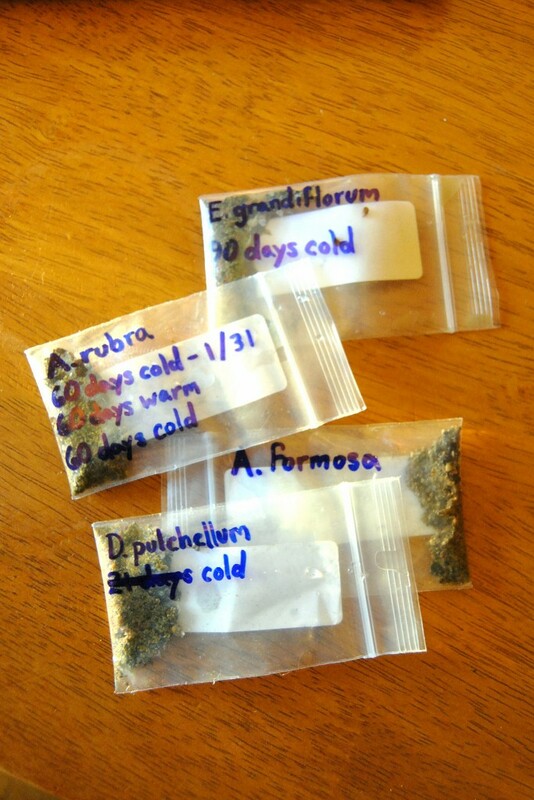 (Well, except for the baneberry, which apparently requires two periods of cold stratification – I’ll need to take them out, keep them somewhere warm for a while, and then put them back in the fridge for a couple more months before I try to start the seeds.) Even in the best case scenario, it will be a couple years before any of the plants that grow from these seeds get to the point of blooming… so except this to be the first post of a many-part series. 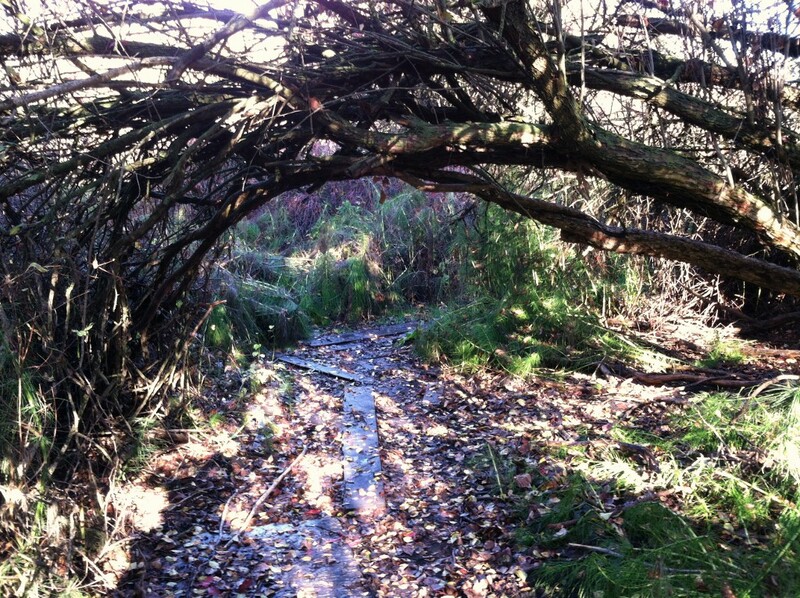 Bye bye garden, see you next spring. We got our first snow of the year yesterday! Sadly it’s not really enough to build forts or go snowshoeing. In the meantime, here are some recent wildlife and conservation tidbits from elsewhere on the internet, two by me and four courtesy of others. Not sure how long this is continuing for, but the Central Puget Sound chapter of the Washington Native Plant Society is currently having a seed sale. If you live in the Northwest and are interested in adding native plants to your yard (and up for the challenge of germinating them yourself), maybe check it out. Pregnant Snake Prepares for Motherhood by Eating Toxic Toads, from Ed Yong of Not Exactly Rocket Science. Robins, Waxwings, and Honeysuckle, from Jim McCormac of Ohio Birds and Biodiversity. Red-tailed Hawk Eating Breakfast, from 10,000 Birds. Anything else from around the internet lately on wildlife, conservation, or environmental education that should be included here? Share in the comments!